The yellow shop was my childhood sweet shop. The place where liquorice flyers were sold straight out of the box and sherbet fountains were in paper instead of plastic. When customers come into Mrs Beighton’s they often say ‘This reminds me of the sweet shop I used to go to as a kid’. At first thought, I didn’t really have a local sweet shop as such… but what I did have was fondly known as the ‘Yellow Shop‘. A typical old newsagents. Rows and rows of chocolates, stacks of newspapers, ice creams and a selection of weigh out sweets. To many, just a newsagents. To me, the place I used to visit with my Grandma as a young girl for a couple of flyers or a sherbet fountain, whilst on the way to greet my Grandad from work. The place that to this day, has the same man stood behind the counter. Still selling flyers from the box. 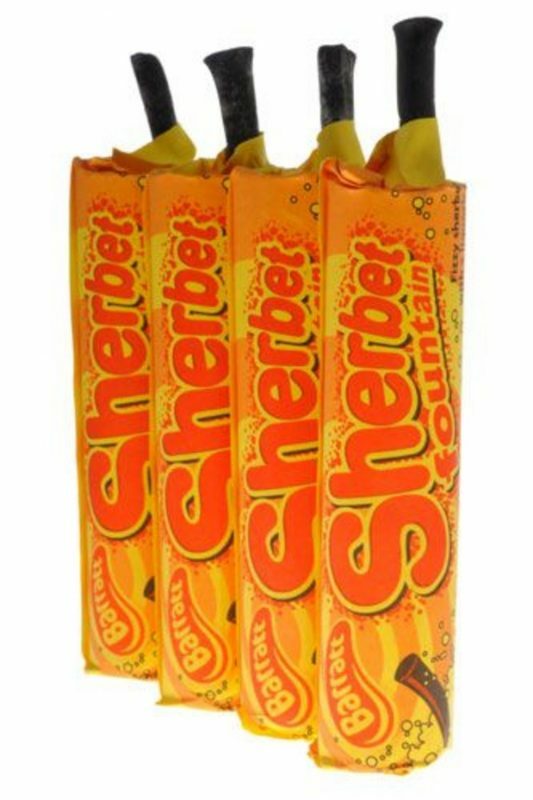 I wonder, what fond memories do you have from your local sweet shop/newsagents? This entry was posted in Sherbet, The Yellow Shop. Bookmark the permalink.